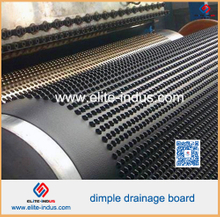 As HDPE Composite dimple Drainage Board manufacturer and export in China ，we also provided Cheap Price Fiberglass Geogrid composite geotextile and high-quality Geotextile composite Geomembrane. 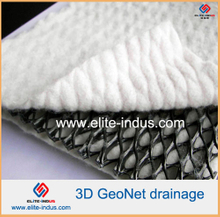 Our geocomposite material including Polypropylene Biaxial Geogrid composite Geotextile, Fiberglass Geogrid composite geotextile, Geotextile composite Geomembrane, HDPE Composite dimple Drainage Board, 3D Geonet Composite Geotextile. 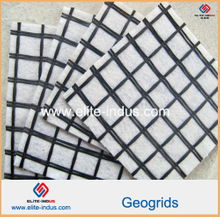 Fiberglass geogrid composite geotextile is a compound product made of fiberglass geogrid and geotextile. It has the property of high temperature rutresistance and anti-fatigue cracking, therefore prolong the life time of pavement. (1)High tensile strength and low elongation ratio. 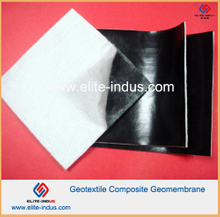 Our composite geomembrane is a combination of geotextile and geomembrane. The product provides the advantages of both geomembranes and geotextiles. And, the geotextile layer increases essential tensile strength and enhances tear and puncture resistance. Length: Nomal is 50m/100m, or as per your request.